Visceral is a hypothetical conference for those who look for more in their work. Visceral intends to take the logic and the tools that are preexistent in professional design and pair that with raw emotion and the feeling of happiness that can be experienced through design viscerally. We are people who think differently and seek to replace complacency with joy. 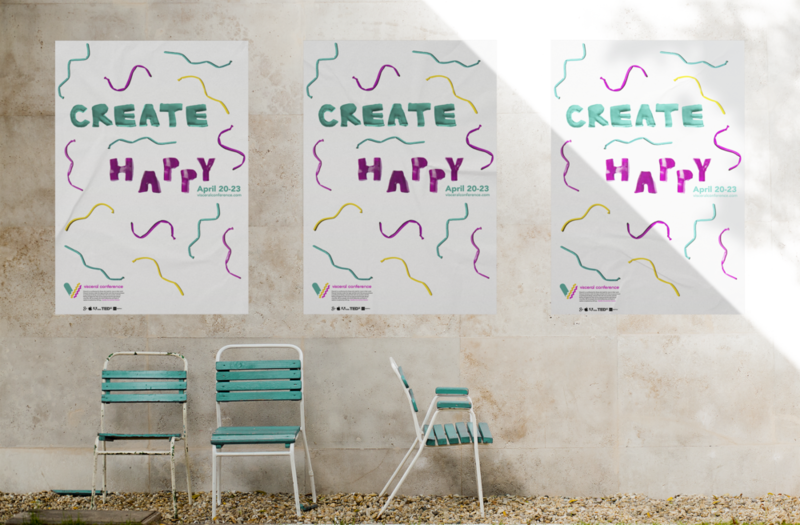 The poster for the conference is inspired by the idea that the people who attend the conference are there to “Create Happy” in a sense. The letters of this mantra are made out of Jello that is hand-cut to give it a sense of the craft. Surrounding this type is a series of pattern balloons that mimic the logo of the conference and appear throughout materials within the conference. The program for the conference details all of the necessary information for a program, but it does so in the same nature of joy and fun that the rest of the conference exudes. 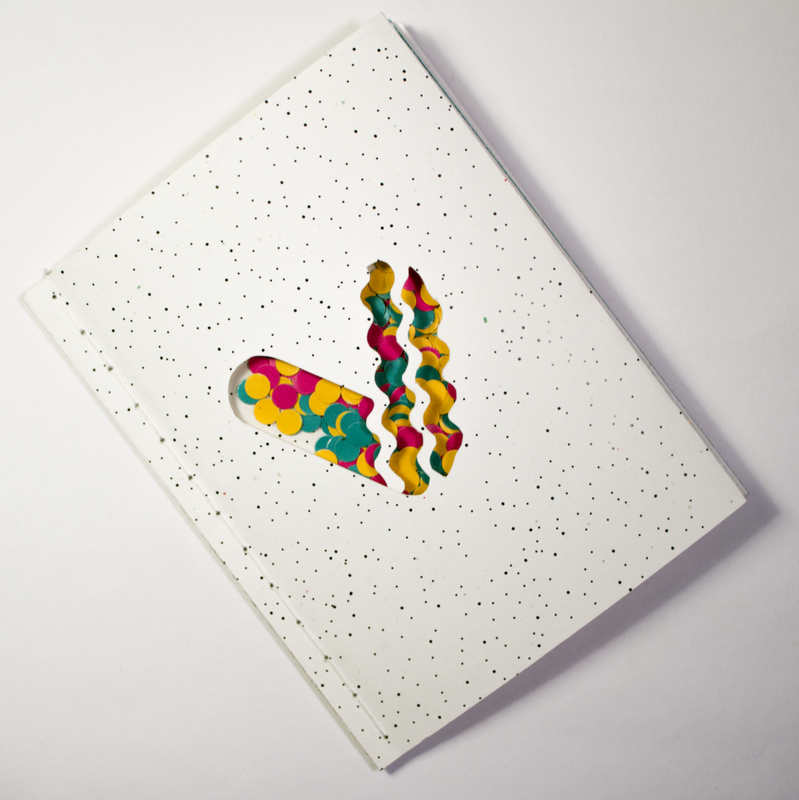 Within the cover of the book is a pouch of confetti to be used at leisure. Near the end of the book lies a cootie catcher that could be used to decide which session a person should go to. The back cover has a map to lead the conference attendee to the happy places within Seattle. The title sequence for the conference is meant to be played at the beginning of the conference to hype up the ensuing speakers. It employs the same sense of fun and wonder that the poster and the Program have. Using Birthday candles, confetti, balloons, and glitter, the motion is able to convey a sense of tactile excitement that can be seen throughout the conference.